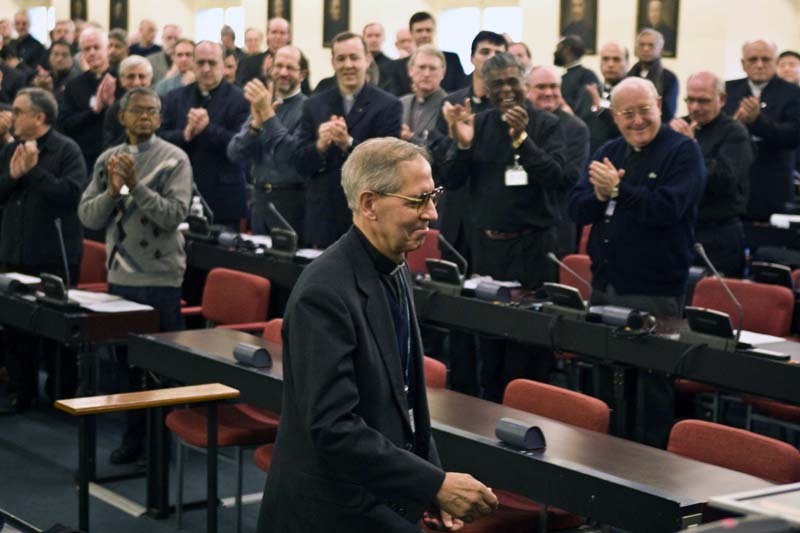 You are here: Home / Just to know / How will the Congregation elect the New Superior General? Fr. Adolfo Nicolas, S.J., former provincial of Japan and the Assistant for Asia, after taking his oath of office as Superior General of the Society of Jesus is greeted by the delegates who minutes ago voted for him. The Congregation will begin with a prayer to the Holy Spirit, said by all the delegates. Then, there will be some some brief business that involves electing officers and those who will serve as secretaries for the sake of efficient business. And after the Congregation determines that everyone is there who should be there, the Congregation declares itself in session. The first order of business is the election of the new Superior General. The election itself is preceded by four days of “information gathering,” called “murmuratio.” Each member of the Congregation is allowed to ask any other member of the congregation about any particular member of the Society who might be an apt Superior General. There may be no lobbying, in any way whatsoever. No Jesuit may seek the position for himself or for anyone else. All a delegate may do is seek information about this or that Jesuit. For example, a delegate may ask a Jesuit from a certain region about a particular Jesuit in that region. What has he done? What are his gifts? How many languages does he speak? Might he have the gifts of diplomacy and discretion necessary? 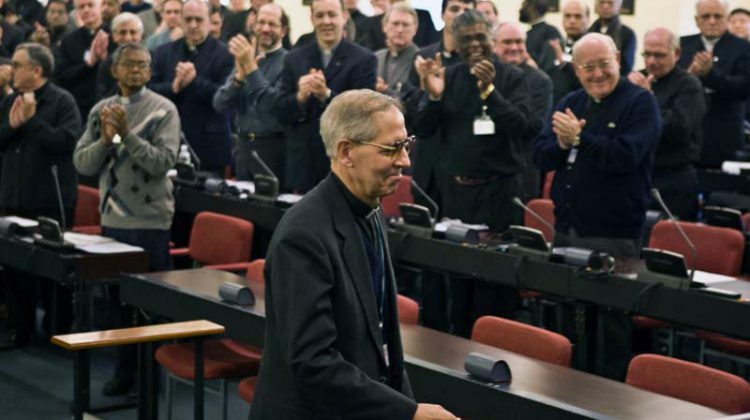 At the end of these four days of conversation among the members of the Congregation, a Jesuit is chosen to speak to the members of the Congregation about their duty to elect a new Superior General. Then a secret ballot in writing is taken, collected and counted. The electronic voting equipment that will be used for the rest of the meeting is not used for this election. Paper ballots are used for as many rounds of voting as necessary until someone receives an absolute majority vote and is elected the new Superior General.